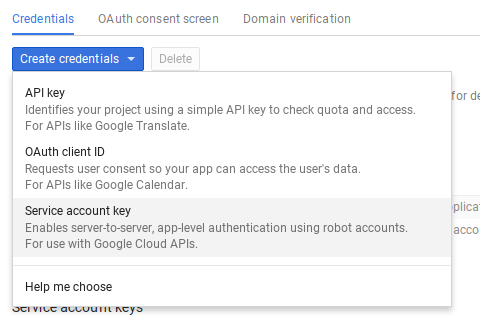 There are a number variations of Oauth2 authorization flows. The simplest is the Service Account. It's simpler because it doesn't need any user callback interaction. It still uses an access token, which expires after an hour, and needs credentials to be able to get that token in the first place or to refresh it, but the cGoa library takes care of all that for you. The Service account is best used when the resource required belongs to the project, rather than to an individual, and is generally used by an application that is server based. The application is permitted to access the resource because it has the credentials required to get an access token. 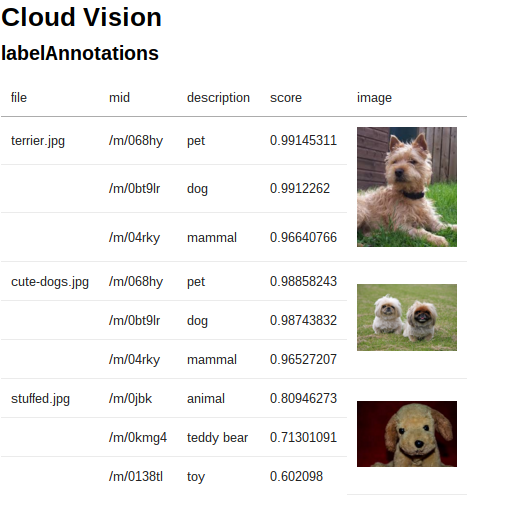 In this example, I'll use the Cloud Vision API, which is a brand new API from Google, still in beta, which can analyze images for location, what they are, and face detection. It doesn't have an Apps Script equivalent, so we need to get an OAuth2 flow. 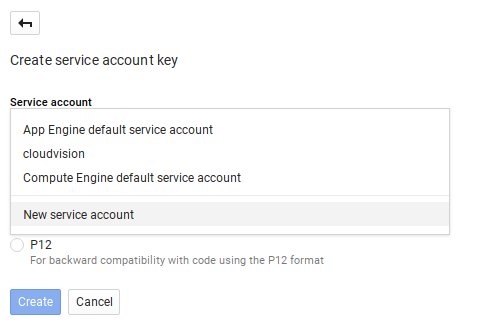 This API needs to have billing enabled (meaning you may have to pay something to use it), since it uses the Google Cloud Platform. I could use the dev console project associated with my Apps Script webapp, but since I need to enable billing, I'd like to centralize that to a single cloud project. You can go to the developers console and use one of your existing projects, or create a new one, and enable billing for it. In the Borrowing an access token from Apps Scripts example, Apps Script helpfully took care of managing credentials for us, but now we need to create them in the developer console. This example will use a service account. Move the file to somewhere on Drive. 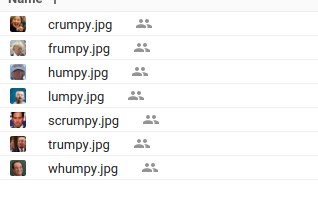 I tend to keep all my service account files in the same directory, and rename them to include the name I used for the service account - in this case cloud vision. Goa knows how to read these kind of files, so you don't even have to bother looking inside. Just get the file Id. We'll need that later. The API explorer can help with discovering what scopes are needed for this API. 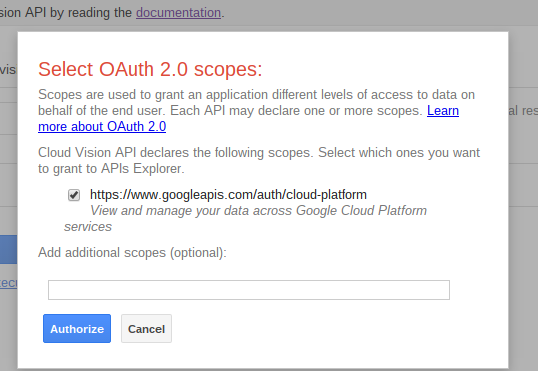 Select the method (s) you are interested in using and click the oauth2 button. 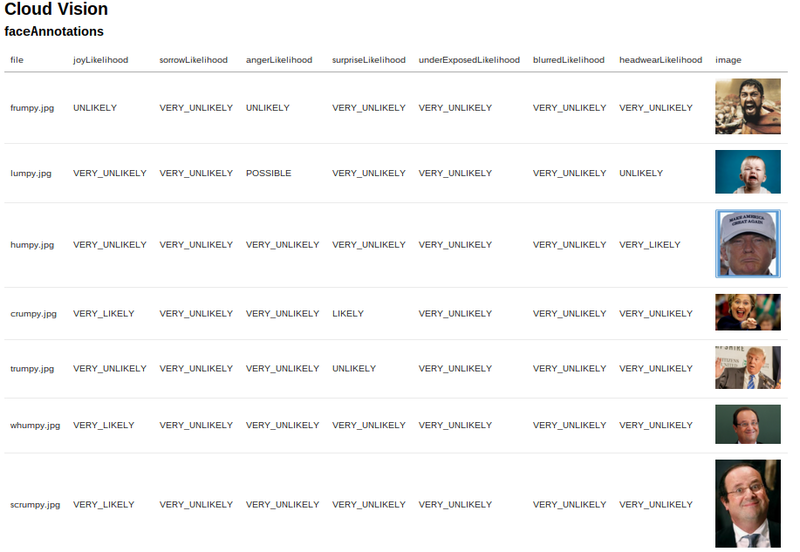 From this you can see some of the scopes you'll need to access the API. You'll see a dialog like this. 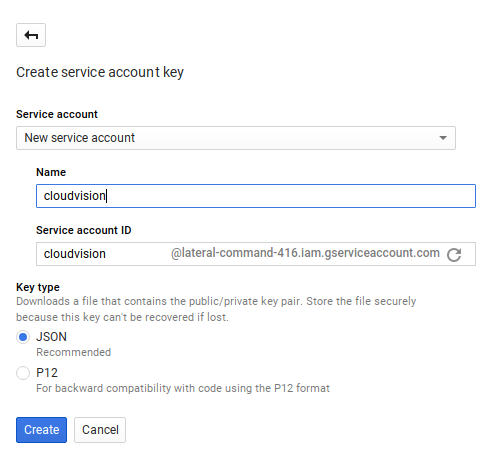 Set up one off function to store your credentials. All you have to provide is the propertiesservice to use, the scope, the file id you downloaded from the dev console, and a name by which to refer to this package in the future. I've used the same name as I used in the dev console 'cloudvision'. Once you've run this once, you can delete it - it wont be needed again. This simple example will provide a couple of folders with images in them and send them off to the cloudvision api for annontation of 'what they are' in one case, and face detection in another. The expression detection part doesn't seem to work very well yet. but I guess it will improve. Assuming that you've run the once off function, the processing is as simple as this one line. Goa will get a new token, or refresh an existing one as necessary. For simplicity I've centralized the getting of tokens to this namespace in this project. I recommend you do the same, as you'll see when we come to implement the web Oauth2 flow in future examples. Like this, you don't need to worry about the mechanics of how Goa talks to the OAUTH2 infrastucture. We've seen that this app simply calls the logVision function , passing an access token retrieved by Goa. Here's the full code. Note that I'm using cache. Since this is a paid for service, best to avoid using it if we've already done the same query! type = type || "LABEL_DETECTION"
I've centralized which folders to pull the images from for this example into this namespace. As this is developed in future examples, this will be replaced by a filepicker dialog. I'll be covering how to render this stuff using htmlservice in a later post, but for now here's a very samll snippet of the data returned by these functions.